Qatar Charity (QC) has won the Social Responsibility Award in the category of the best national initiative titled ‘Future’s Writers’ program. 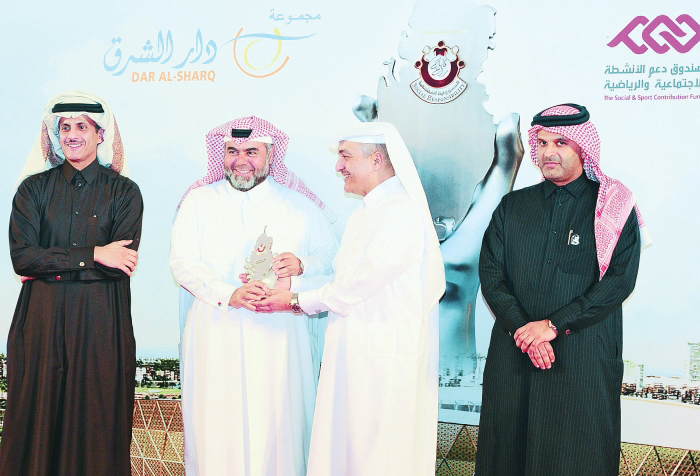 The QC received the award during the 6th Social Responsibility Awards organized by Dar Al Sharq, in the presence of Minister of Administrative Development, Labor and Social Affairs Yousef bin Mohamed Al-Othman Fakhroo. The award was received by QC Chief Executive Officer Yousef bin Ahmed Al Kuwari, during a ceremony to honor 11 governmental and private institutions. Through organizing the Social Responsibility Awards ceremony, Dar Al Sharq aims to raise awareness about social responsibility and its positive impact on the building of society and the interdependence of its members, and encourage companies and governmental and private institutions to pay attention to this aspect of their activities. Launched in 2017, the ‘Future’s Writers’ program is one of QC’s projects, which is implemented within Qatar. It is concerned with the development of students’ writing skills by organizing the competition and holding workshops. The program, which included two advanced training workshops on writing a short story, aims at developing the abilities and skills of students to make them enable to write different types of stories. The QC’s program is implemented in cooperation with its various partners including the Ministry of Education and Higher Education, Ministry of Culture and Sports, Qatar University, Dar Rosa Publishing, Khair Jalees Book Club and programs sponsor, Barwa Bank.